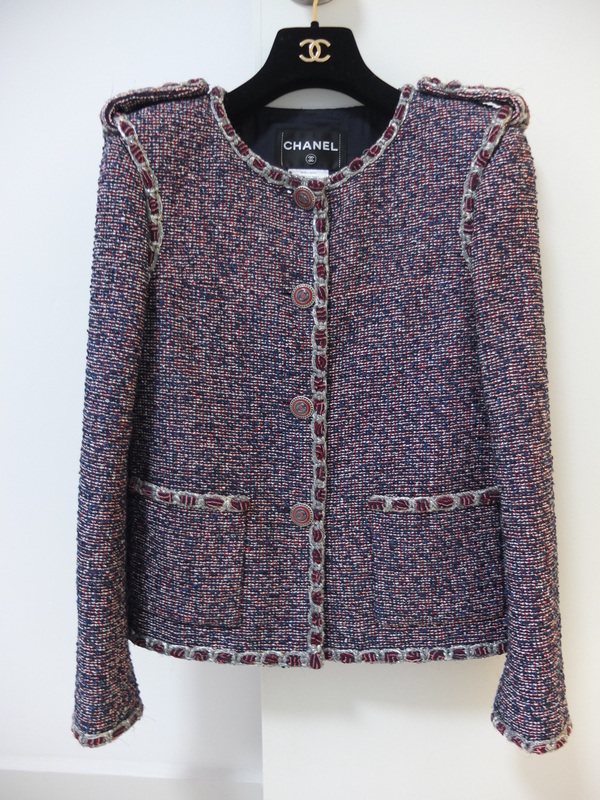 The Chanel jacket is one of those things I always thought about as a (distant) future purchase. I was not expecting to buy it during our trip to Paris but we had no luck at FSH (surprise surprise) and the other items on my wish list were all sold out. I decided to try some jackets and this happened. I mean, look at it! The details are glorious. I also like the colour which works with my boring work clothes and could be dressed down as well. Here’s a street style picture of the jacket. 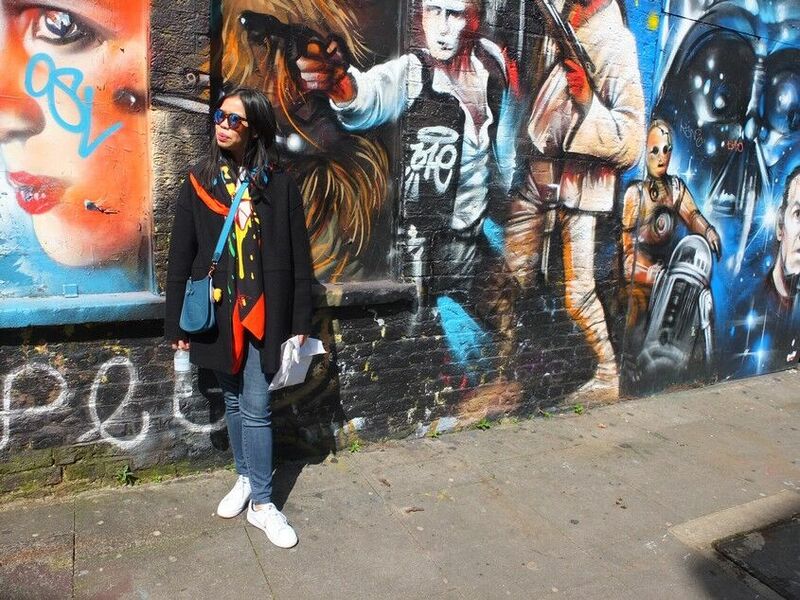 I love this jacket draped over one’s shoulders look but does it even work in real life? How do people do things or reach for stuff without the jacket slipping off? We visited the Faure Le Page store along Rue Cambon while we were in Paris. Service was lovely and my friends quickly picked up a few items. 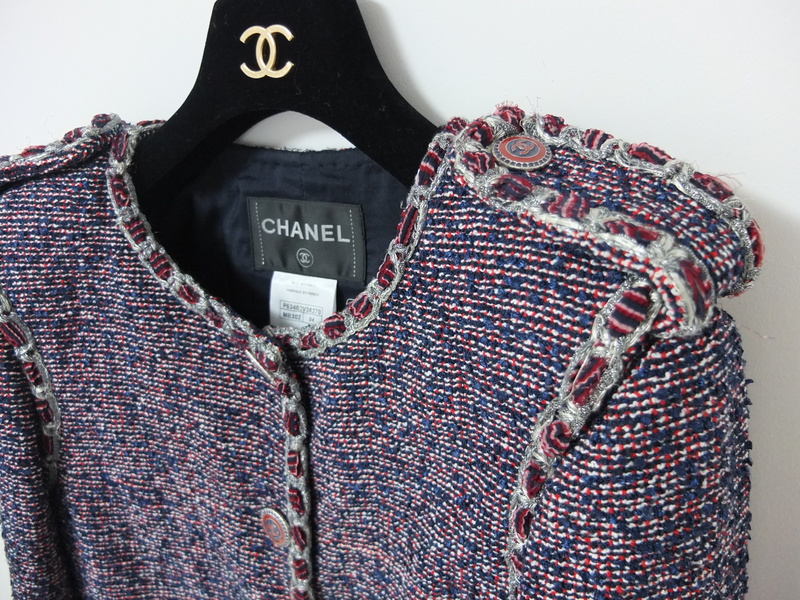 I decided against buying anything as I had already made an unexpected purchase at Chanel. 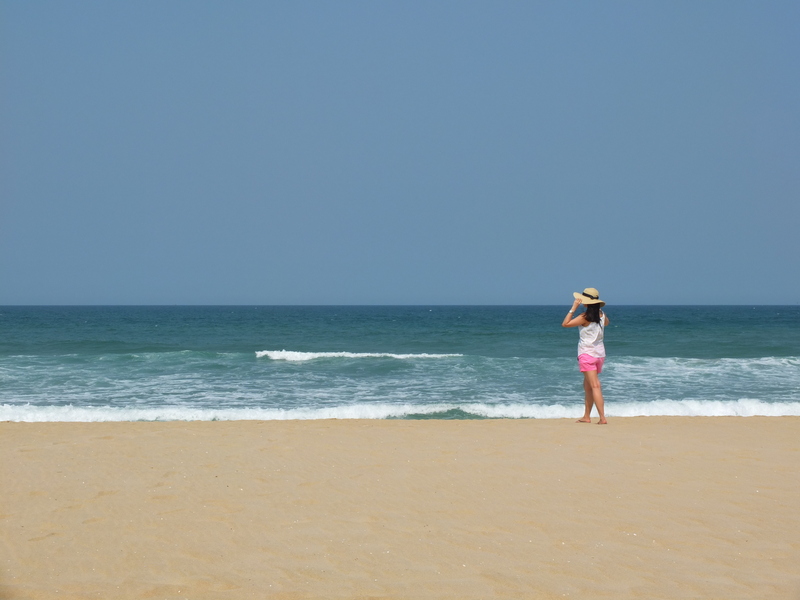 After we came home, I was overwhelmed by a deep sense of regret! 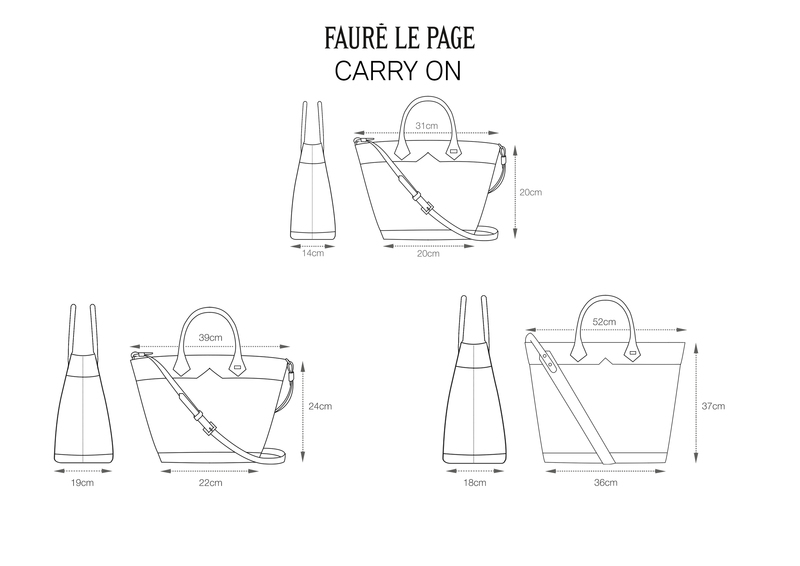 After stalking the Faure Le Page Instagram page, I decided I needed a Carry On in my life. I sent an email to boutique@faurelepage.com and got a reply the very next day with dimensions, prices and more than 30 photographs complete with size comparisons. This is a very helpful side by side size comparison between the Carry On 20 and Carry On 22 provided by the SA Claudia. I must say service is excellent. – Carry On 20: 860 € including taxes. 716,67€ Tax Free. – Carry On 22: 910 € including taxes. 758,33€ Tax Free. – Carry On 36: 1550 € including taxes. 1291,67€ Tax Free. If you are ordering the item outside of the EU, you would pay the Tax Free price. However, you will need to pay for shipping (which is dependent on the weight of your purchase(s)) and your local taxes. I paid 75€ for shipping to Singapore. Unfortunately, when I placed my order, the wallet I wanted was out of stock. I chose to wait for it to come back in stock and that took about 1.5 weeks. Once my order was shipped, it took 4 days to reach me and here it is! I went with the Carry On 20 in Inverness Red. 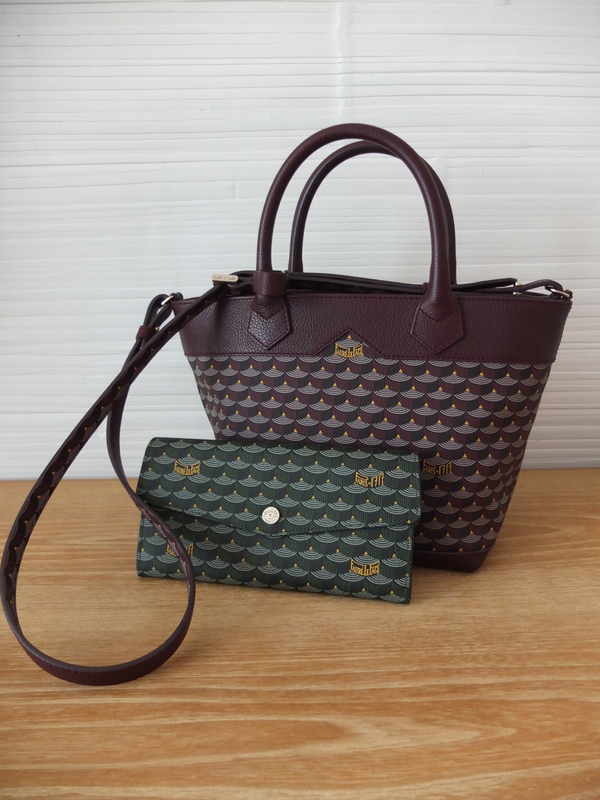 I also ordered the Portefeuille Rabat Grand in Empire Green. Here’s a shot of the Carry On as a cross-body bag. I am about 1.64m. 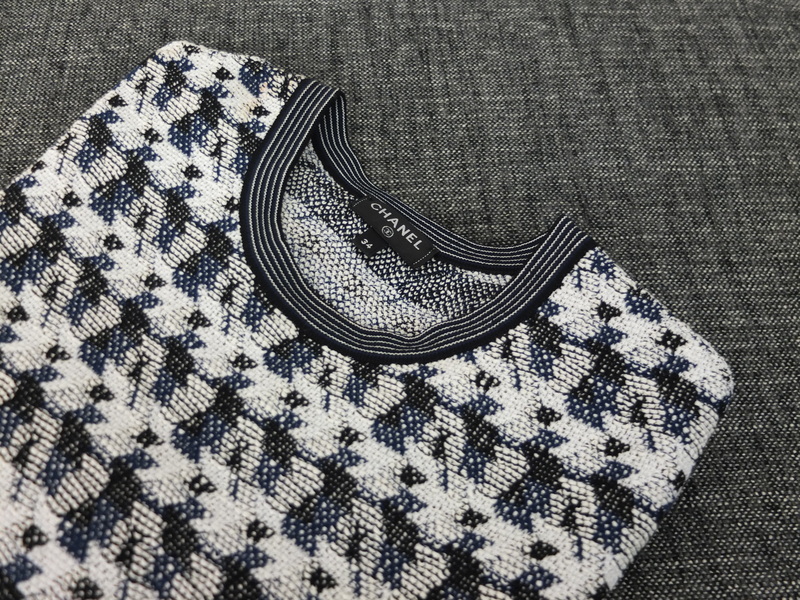 In this day and age where the prices of designer bags are increasing exponentially (while quality is arguably not), Faure Le Page bags are great value for money. I am very pleased with my purchase. If you are looking to purchase one, I would recommend doing it earlier rather than later. The prices will inevitably climb up as they become more and more popular. 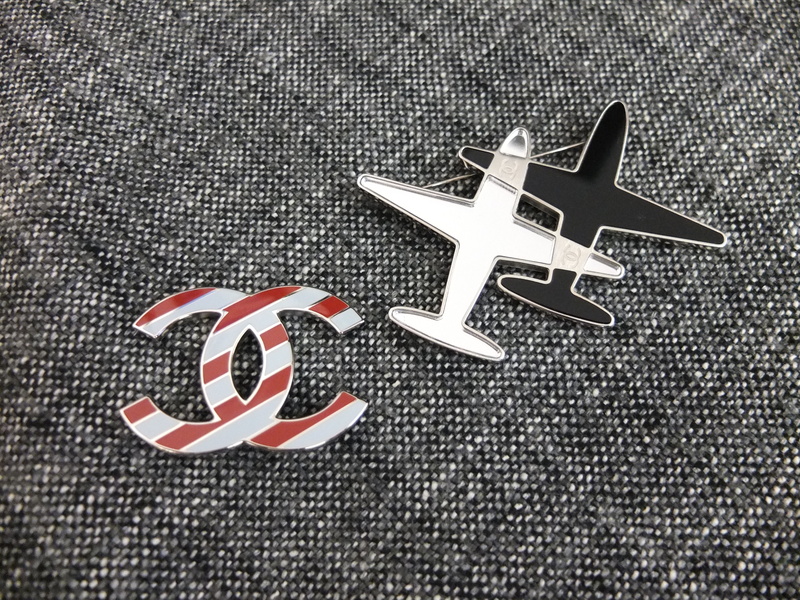 Chanel accessories can be so pricy for costume jewellery but I get a lot of wear out of my Chanel brooches which helps reduce the cost-per-wear of these brooches I added a few months back (but only managed to take pictures of recently). I also added these slingbacks. 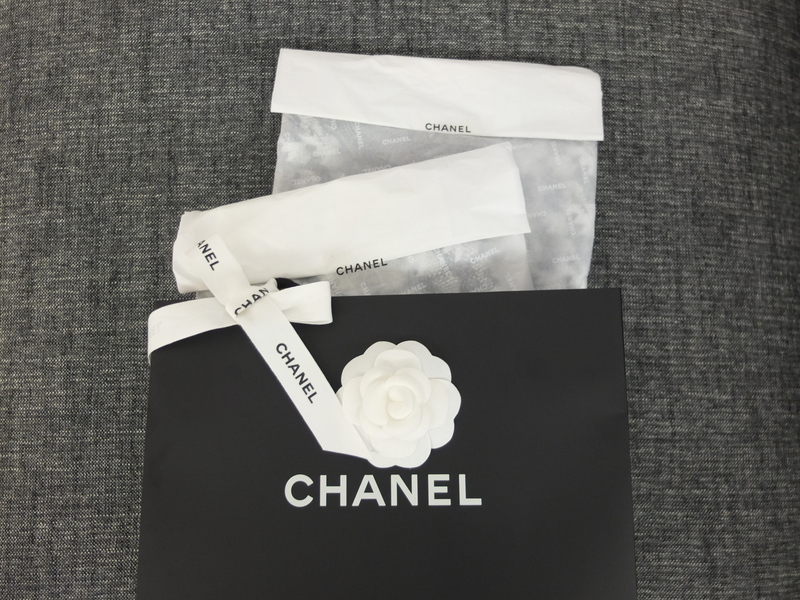 I only managed to pick them up at the third Chanel boutique (Avenue Montaigne) I visited. For some reason, everyone and their mother was buying these slingbacks in Paris. Would have preferred a colourway with some contrast (like the beige and black ones) but I would really wear the black ones more. Sizewise, they fit true. I am a 37.5 in Chanel ballerinas and took the same size for these. A little late to the Glossier bandwagon but they recently restocked Generation G in all colours. Glossier does not ship internationally (yet) so I used my usual forwarder to ship my order to me in Singapore. Shipping within the US took 10 days despite the expected 5-8 days delivery timeline. My order came with super cute stickers which I promptly stuck on my phone cover! 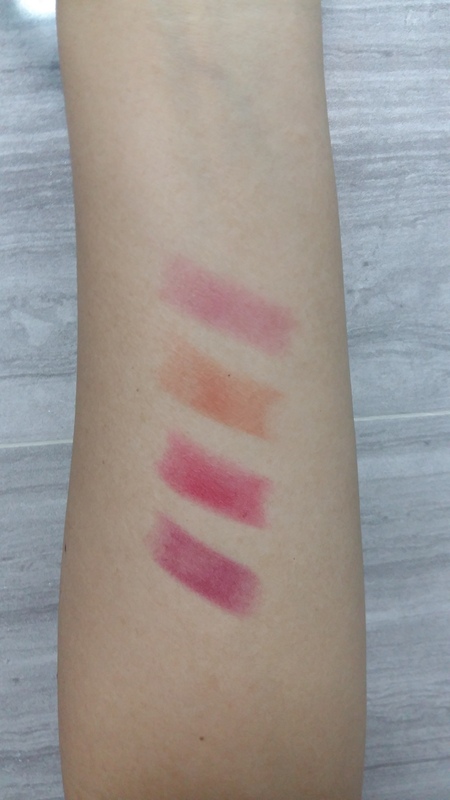 Here’s my incredibly noob attempt at swatches of the Glossier Generation G colours. The colours from top to bottom are Like, Cake, Crush and Jam. It feels very much like a tinted balm. The coverage is sheer but buildable. Crush and Jam are definitely much darker and you don’t really need to put on that many layers. Lip colours tend to be quite high maintenance – I always feel the need to check to see if there are smudges after eating and/or drinking. With these, I didn’t feel the need to do so. In particular, I liked Like and Cake for a casual “no-makeup” look on weekends. I also ordered the milky jelly cleanser which smells like a thousand roses! It was absolutely glorious and I would definitely order it again. If you are new to Glossier, you can get 20% off your first Glossier order by using my referral link here! See Part 1 here. 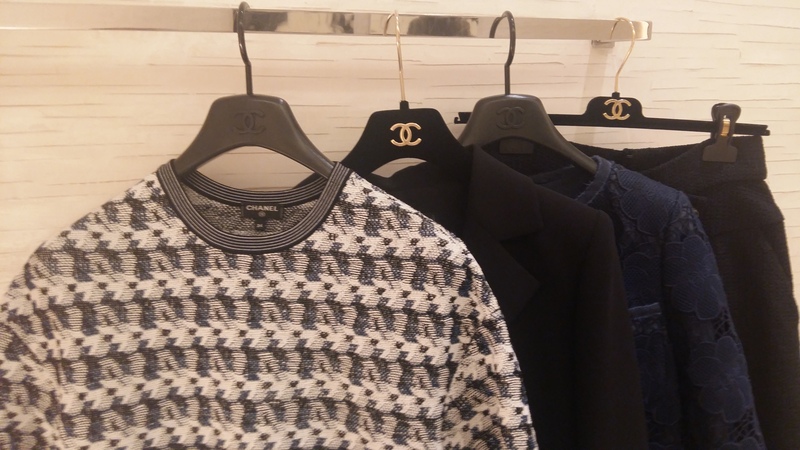 I was on my lunch break and thought I’ll just pop by Chanel to look at the sale items. I tried this top with the matching skirt and thought it was such a cute outfit. 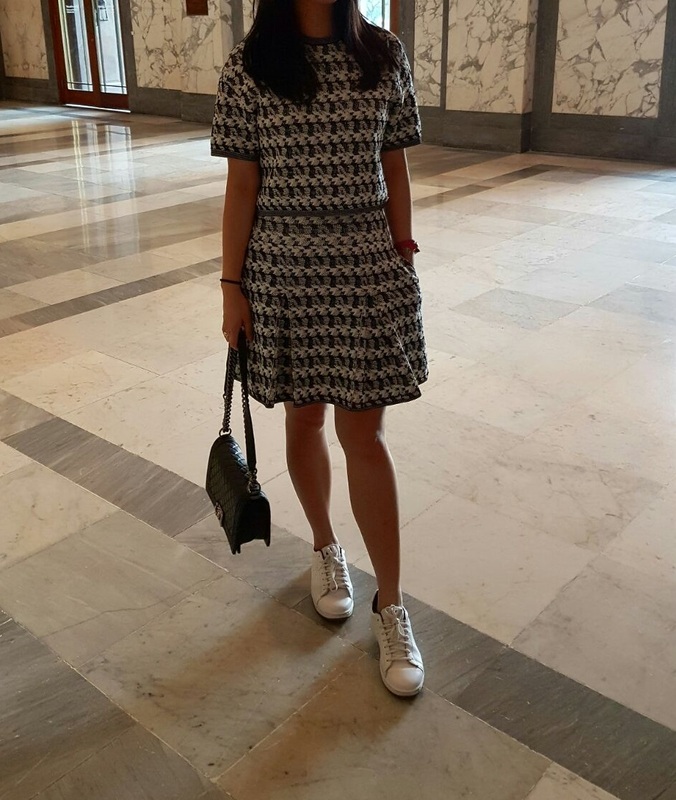 I like how it can be worn together as a set or with other pieces which makes it a lot more versatile. The skirt also has pockets which I also love so I bought the top and the matching skirt (sorry bank account). Here are some pictures of the top and the skirt from the past weekend! Reveals with better pictures to follow soon! 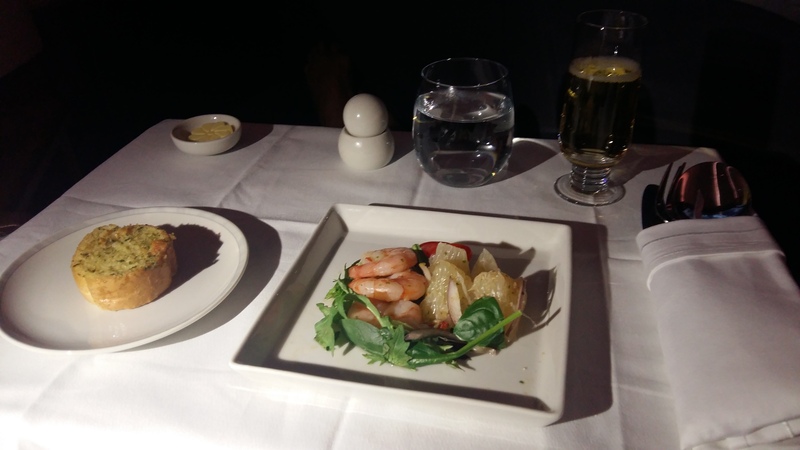 The starter was a prawn salad. I don’t eat prawns but the pomelo was very refreshing. I also had garlic bread which is always good. From the name of the dish, I expected more of a soya sauce flavour to the beef so I thought that was lacking. I probably wouldn’t order this again. This does not look like much but this was my favourite dish. 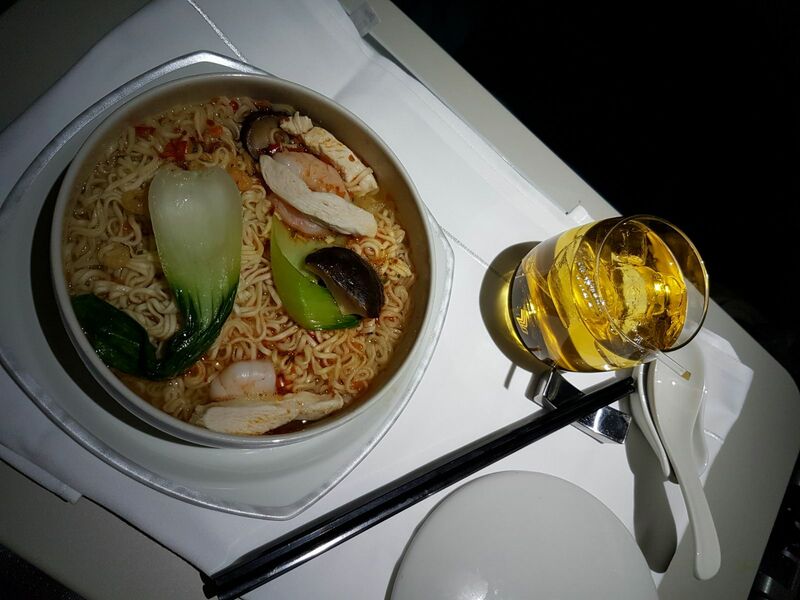 There’s nothing quite like porridge to warm your stomach during a long flight. 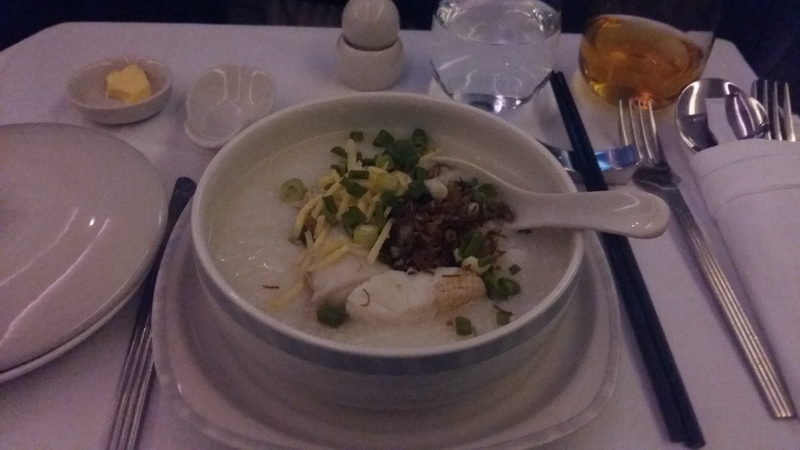 The fish was firm and fresh and the condiments of ginger, spring onions and shallots made for a very tasty porridge. I will definitely order this again. 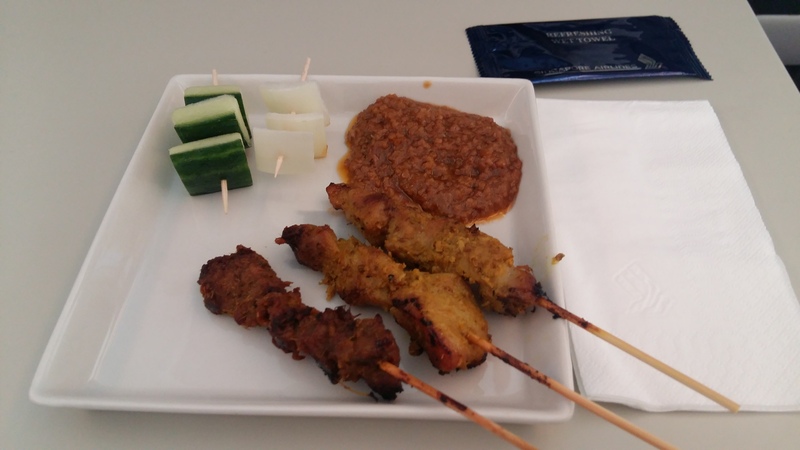 The starter was beef and chicken satay which was very good. 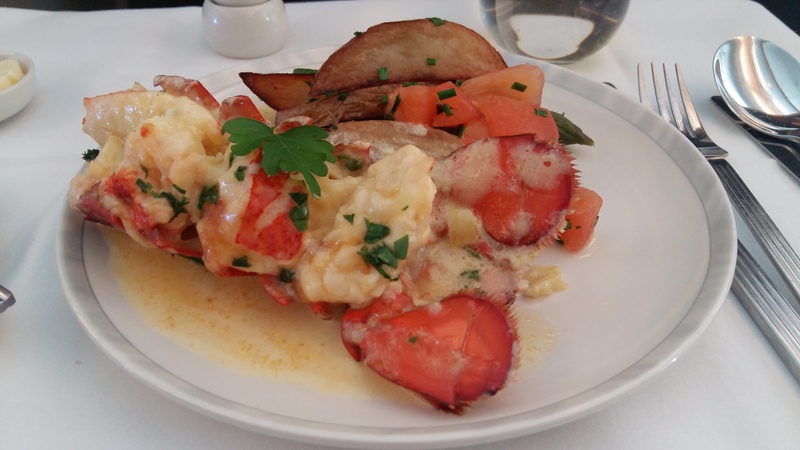 The lobster is a very popular dish and frequently recommended on travel forums. The dish itself is fine and they are generous with the serving size. I did think it was too heavy for a long plane ride where you will sit and watch movies for hours and partake of no physical activity whatsoever. I pre-ordered this but was still very full from the Lobster and did not eat it so no picture of said pad thai noodles. Of course, as I did not eat my pad thai, I got quite hungry after and ordered instant noodles as a snack. Say what you must about instant noodles, but they really do hit the spot when one is hungry. The instant noodles was topped with meat and vegetables which made it nominally healthier. 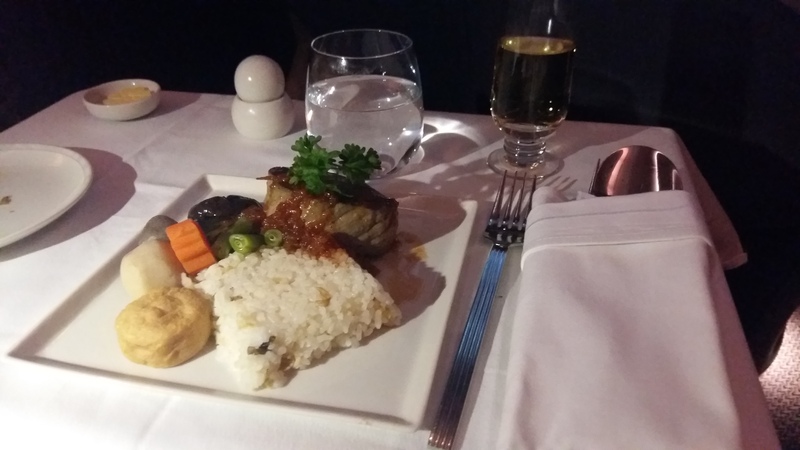 So much is said about the Singapore Airlines Business Class product. I really do think it is excellent. The seats are large and roomy and fold down to a flat bed which makes for very good sleep. I slept an uninterrupted 6 hours on our way to London and arrived feeling extremely rested. You will also receive a fast track pass upon arrival in Heathrow which allows you to clear immigration through the special fast track lane which is just the best! 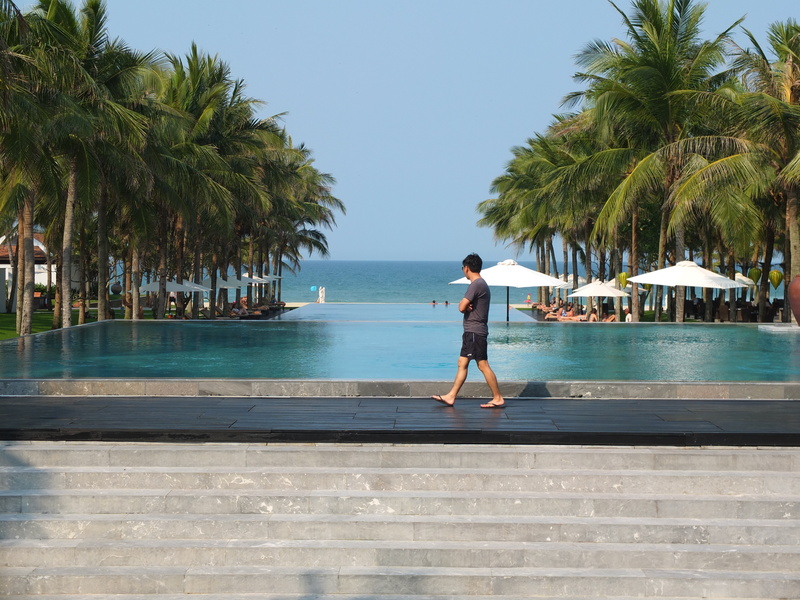 The Nam Hai is one of those resorts which take your breath away, right from the onset. 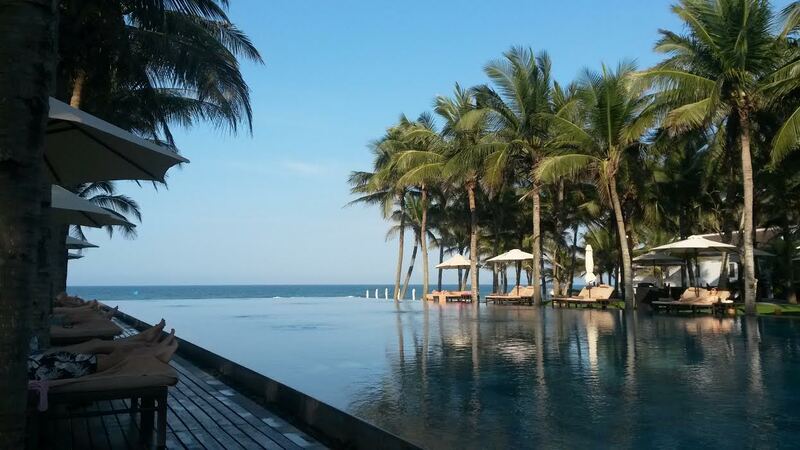 Upon check-in, you will get an incredible view of three consecutive pools and the coast line with its white sand and blue waters. 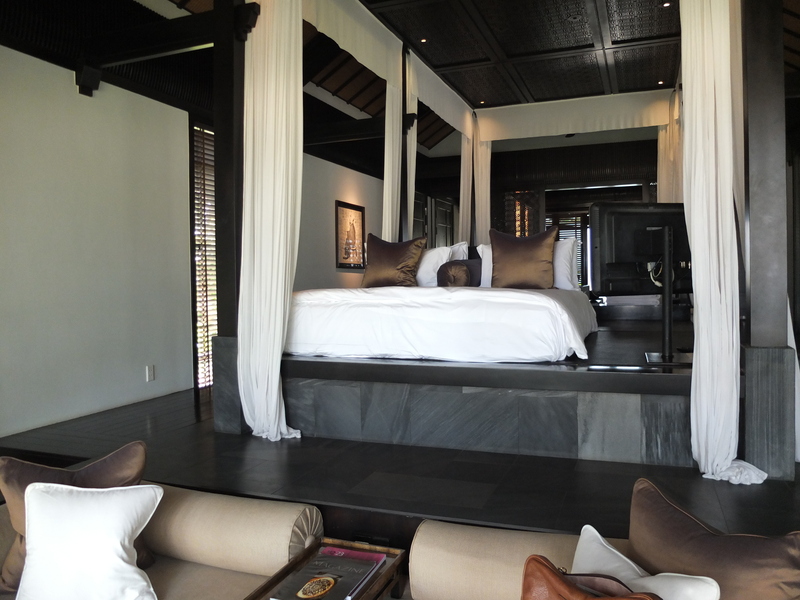 We stayed in a one bedroom villa. As the villas are arranged in a horse shoe configuration, you would get a view of the coast line regardless of which villa you were in. 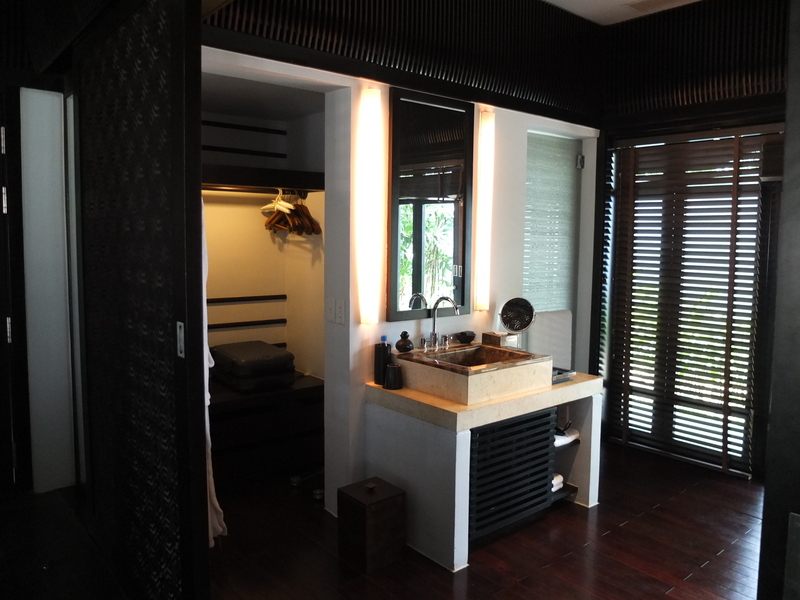 Of course, the three bedroom ocean view villa would place you right by the glorious coast! And yes, that is a bathtub in the middle of the room! Our villa was large and airy. Amenities wise, the mini bar was complimentary with soft drinks and beers. There was also the usual Nespresso machine and assortment of teas. The food in the resort was delicious. This was a beef salad I ordered more than once during our stay. 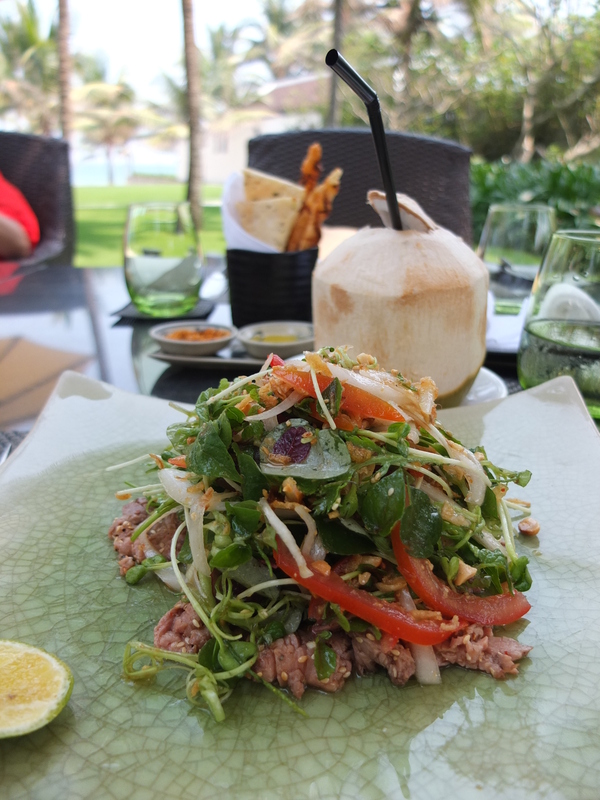 The greens are grown in the resort’s very own garden. It was a short but good getaway for us. 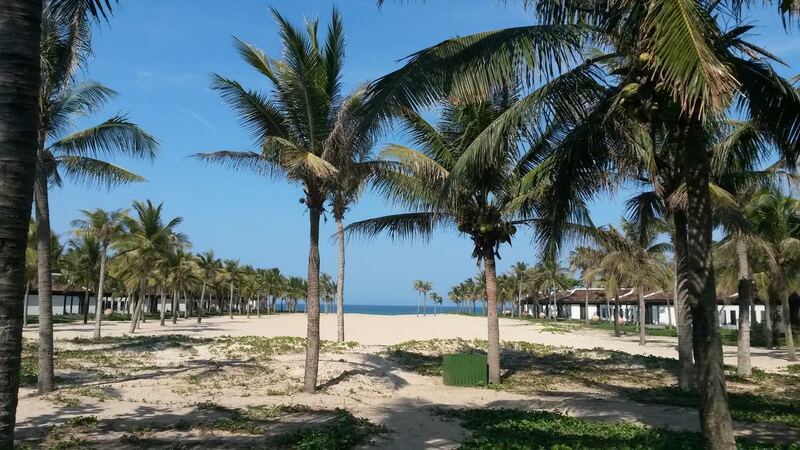 If you are looking for a beach destination away from the maddening crowds at other popular beach destinations in South East Asia, Danang is definitely a great choice. The Husband was very sweet and picked this Evelyne TPM while he was in Zurich. I had been looking for one for some time with no success. The Evelyne TPM/ Mini Evelyne/ Evelyne 16 is the smallest size for Evelyne. 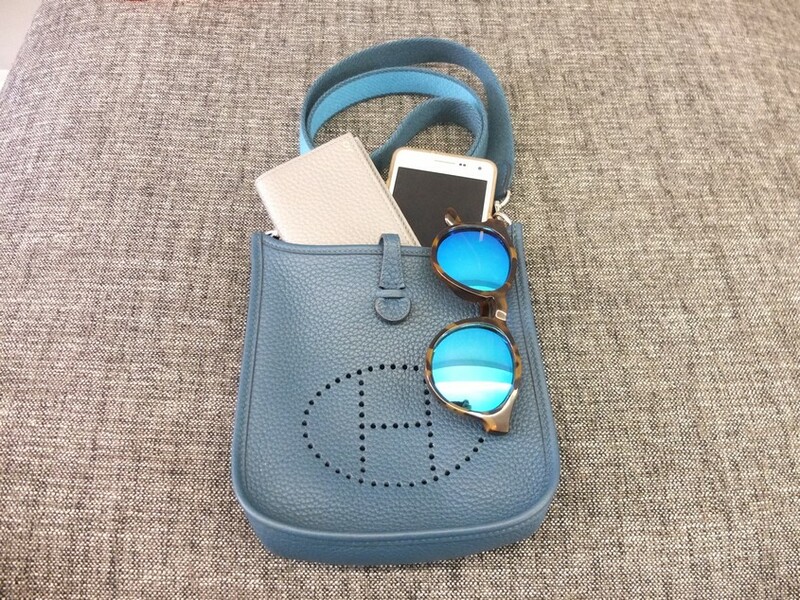 While small, it definitely fits the essentials – a cardholder, mobile phone, sunglasses. 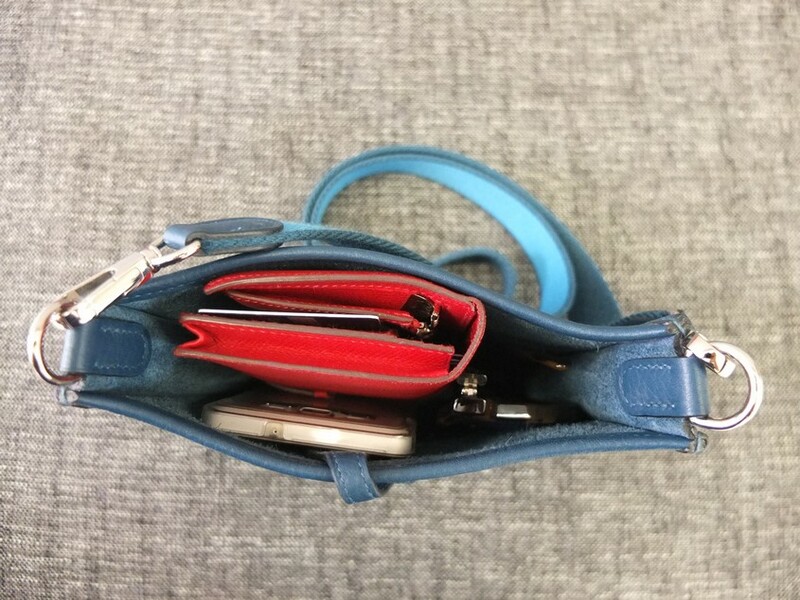 It would fit a long wallet such as the Bearn but it will be a bit of a squeeze. You can see how the Bearn sticks out just a little in the picture below. 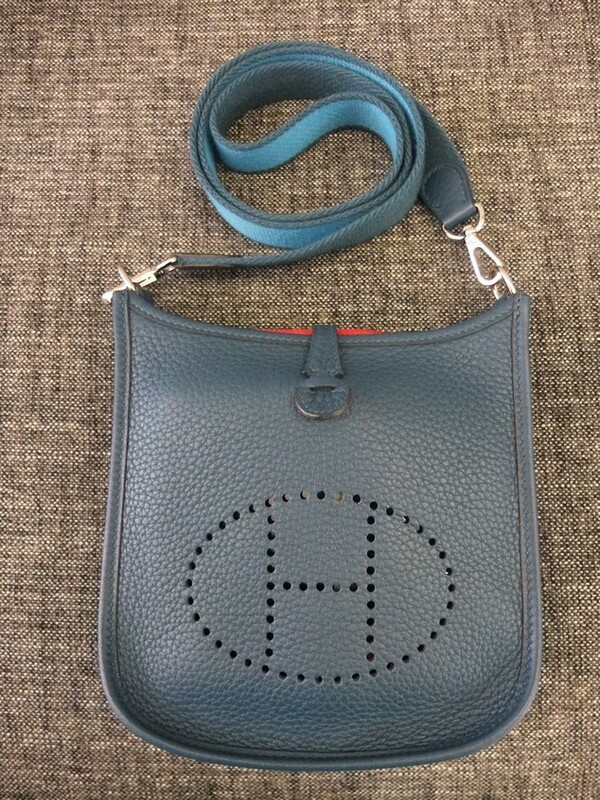 This has quickly become one of my most frequently used Hermes bags. The cross body strap makes it so functional and keeps your hands free while you are out and about. Because of its size and light weight, it is also great to pack for travels. I usually pack it in my backpack which I use as a carry on luggage. You know you are getting old when you forgo larger (i.e. 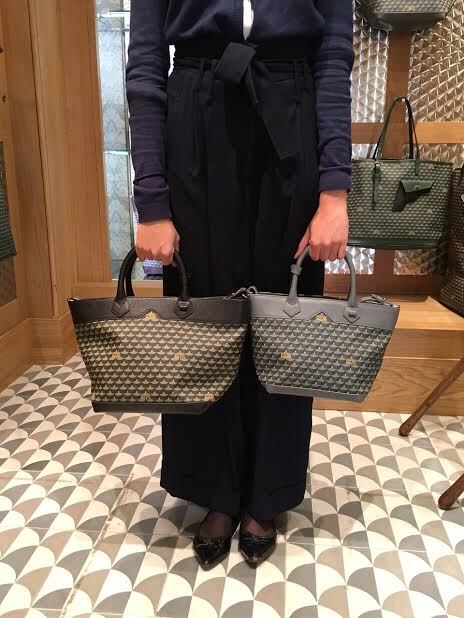 heavier) bags for their smaller counterparts! I love gingham and this was too cute to resist! I also added the matching shorts here. 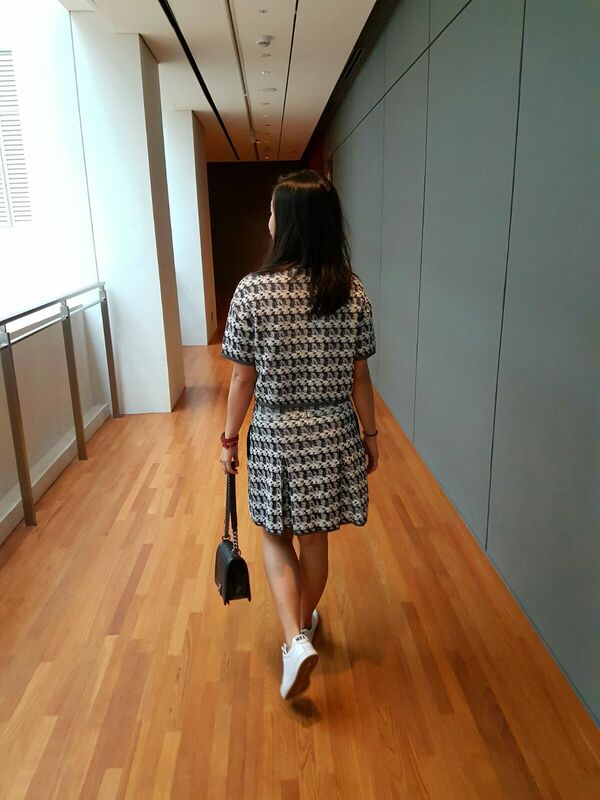 It is such a fun weekend outfit that I may have worn it for two consecutive weekends since I received it! 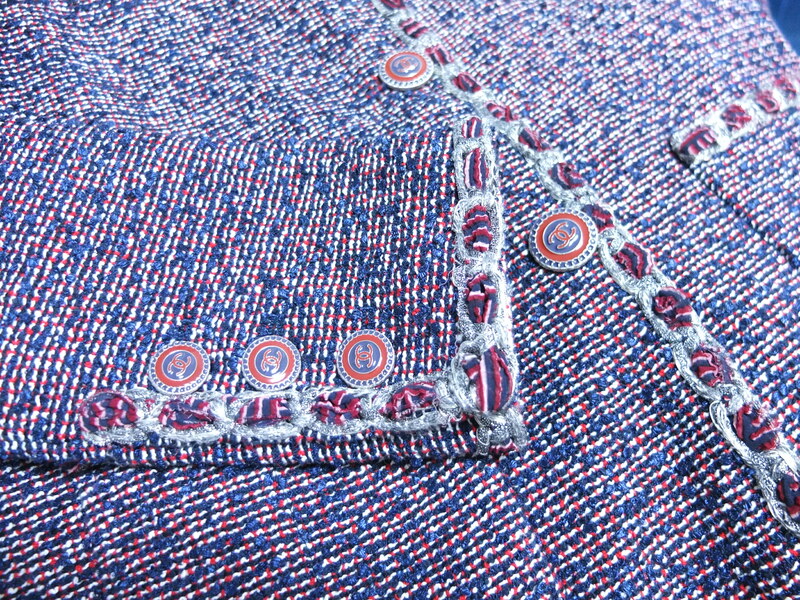 I really like the button back details for the top and it definitely feels more expensive than what I paid for it. Here’s hoping Old Navy will make this same tank in black and white. It would make such a great basic tank. The shorts are pretty comfortable too but I don’t like that there is an elastic backing on the shorts. Good thing the top is long enough to cover the elastic backing of the shorts so I’m not too fussed about it. I also picked up the cropped trousers here in Navy which looks very cute with the top. The price point is so excellent. The cropped trousers work very well for work and I’ve already worn them twice! All in all, I am very happy with this order.